Create a website for a new wholesale company based out of Hong Kong focused on B2B users in China and globally who are searching for a catalog of products. This includes the branding and writing of the website. The project was done with a short timeline with a focus on launch, so I kept the research straightforward and targeted. Gaining a deeper understanding of the wholesale market and the interactions between buyers and retailers in Asia was challenging as I had little access to people within the market and there are significant cultural differences. I relied heavily on conversations with my client and his team to tap into their experiences and leveraged contacts from similar industries that I did have access to (colleagues who worked at subscription boxes who buy from wholesalers, etc.). I also conducted a competitive assessment of many wholesale websites. What is the context in which users are arriving on the site? What are the key goals for the business? What do we want users to think of this wholesale business? How will we differ from other wholesalers? Most other B2B websites look very dated and contain very little information about the businesses themselves, likely because it’s not the most important source of leads, but because of this, a modern and clean visual treatment would stand out. The main purpose of the writing on the site was to convey trust and show that in addition to having the products retailers might need, they could rely on this team to deliver the products. A professional translator was used to make the site bilingual. 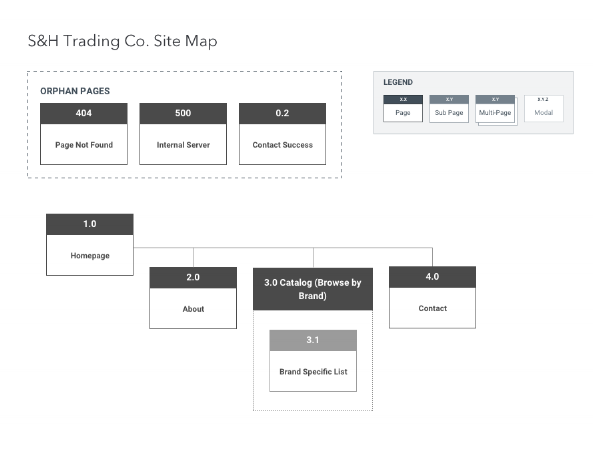 I discovered that most B2B users seeking products from a wholesaler’s main concerns were the availability and price of the product in mind – thus the catalog feature was prioritized as the main feature of the site . The ultimate goal was for users to reach out to the company representatives directly. Because we had limited development hours, a search or filter feature would be very challenging. The database had over 10,000 lines of data that needed to be cleaned up. We decided to go with a browse approach. 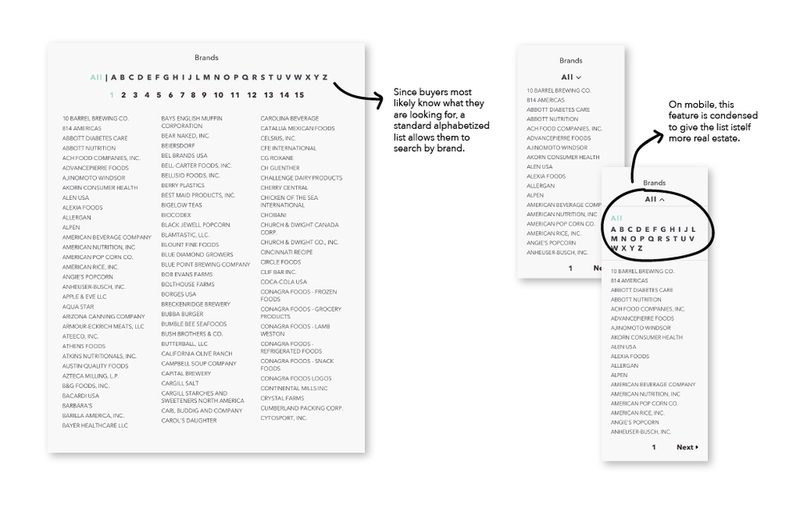 Based on our core user flow, users are likely using the search engines directly to locate the item they are looking for.